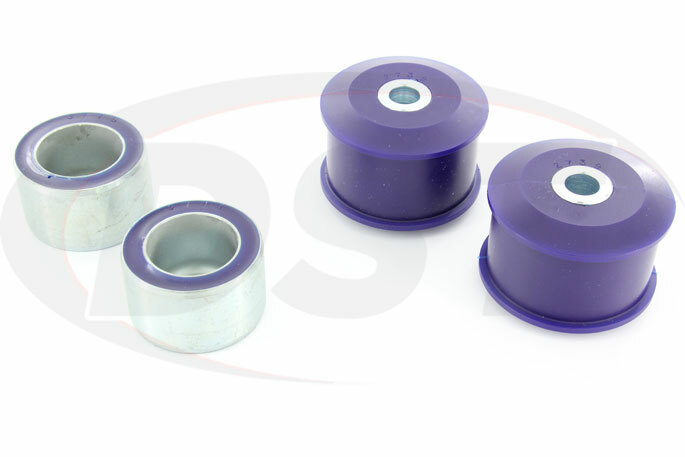 These Rear Differential Bushings from SuperPro will tighten up the connection between your engine and your rear tires, meaning a quicker response from your accelerator during a hard launch and a secure hold on your drivetrain's alignment.  Have you noticed some sluggish response when you press the gas in your vehicle? Are you experiencing wheel hop on a hard launch, or clunking from the back when shifting? This could be caused by the stock rubber bushings connecting the differential to the frame. 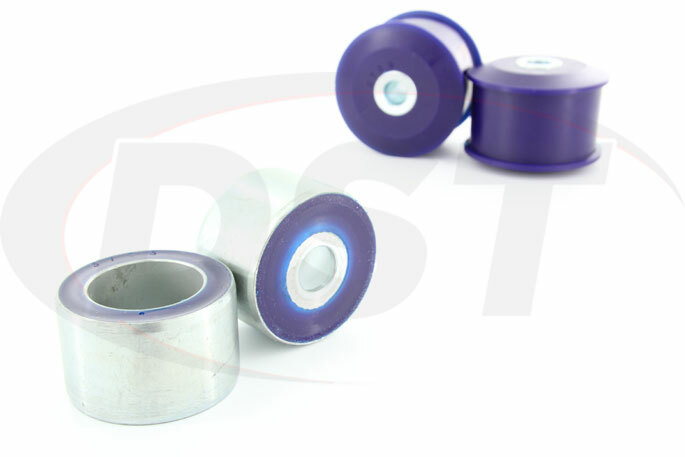 As rubber bushings flex with the movement of the rear differential they wear down, causing a loose connection in your drivetrain and slower response when pressing the gas. Now you can install more OE bushings in your vehicle, but what if I told you there was a longer lasting solution? 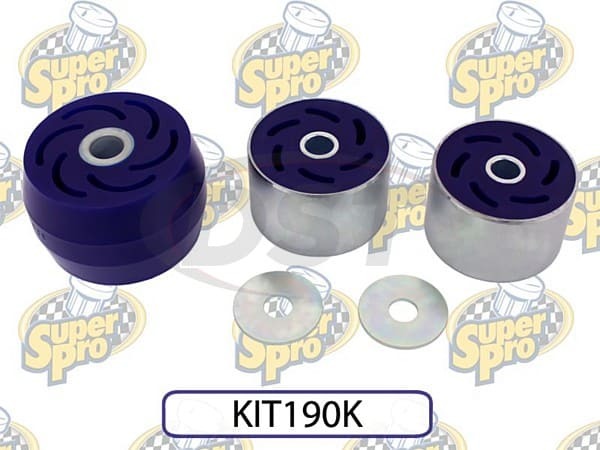 SuperPro Rear Differential Bushings replace those stock bushings and provide you a flex free connection. This gives you a greater degree of stiffness like a solid differential mount while still allowing some vibration dampening like rubber. If you're looking for a solution between durability, performance, and comfort then polyurethane is your answer. 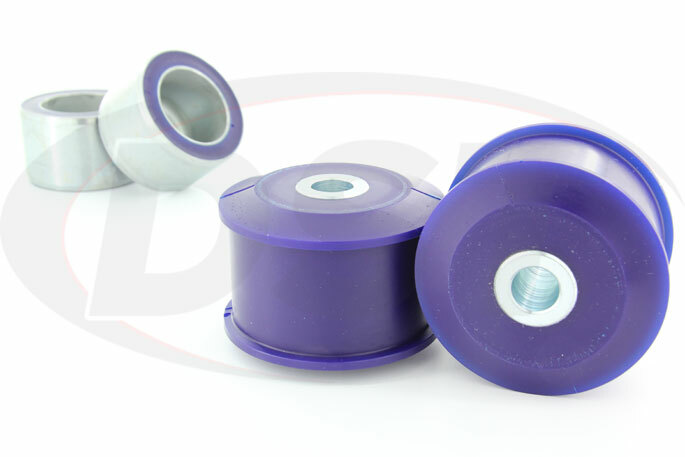 SuperPro polyurethane rear differential bushings are wear resistant, unlike rubber which can decompose or crack with exposure to elements. Heat, weather, and oil will destroy rubber over time but polyurethane brushes off those factors and keeps going. Since SuperPro was born in Australia you can rest assured that these parts have been tested on some of the harshest terrain around, and in that spirit, SuperPro backs up their bushings with a lifetime warranty that ensures these differential bushings will last the life of your vehicle. So if you are wanting some more response from your vehicle during takeoff, or you're losing sleep thinking about that clunking and wheel hop being a precursor to a wrecked drivetrain, then give SuperPro rear differential bushings a try.